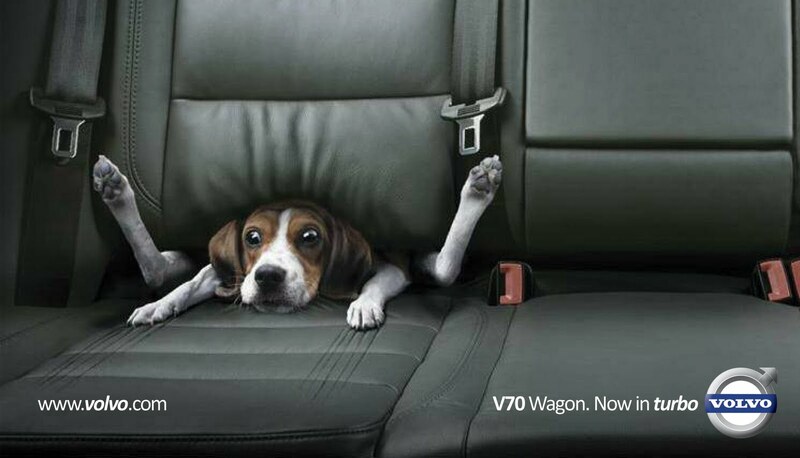 Yes, Volvo's are fast... our creative for the turbo V70. This is cute! I love that they used a dog instead of a person as the subject of the ad. I think that it says how speedy a Volvo can be with its turbo function. Although, I think it may imply that the car is not safe to use at such a high speed because of how the poor doggie looked like.